When you request help from a locksmith, it shouldn’t have to be a living nightmare. That’s why it’s important to request a very reputable company with many years’ experience providing top-notch locksmith services. 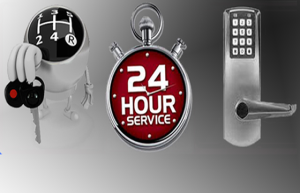 After serving the local community for many years, Key Man Service has really established itself as the go-to locksmith in Santa Clarita and nearby locations. Just one easy call to (661) 210-1182 and we will have your issue taken care of before you know it. Key Man Service is open at all hours, Monday through Sunday and all special holidays included. We completely understand that locksmith trouble can happen at any time and any place completely out of the blue. Therefore, we are always on standby at the ready to assist you when you need it most. There is never a time that you won’t get a hold of us, your call will always be answered. Key Man Service provides services that are supplied by our team of mobile technicians. Each technician is dispatched by our call center direct to your location. Furthermore, we will send the closest technician that most closely fits the nature of your emergency. The skill level and efficiency of our technicians is second to none, most of whom have been working in the industry for years. And with those years comes a great deal of expertise and knowledge in handling all sorts of emergency situations. Key man Service only provides insured, bonded and licensed technicians, so don’t worry about something extra happening- you’re covered. Technicians will arrive in a company vehicle complete with every type of product, tool, and equipment that they will need in order to complete each job. You can rest assured that with us, you will be taken care of from start to finish. And additionally, our technicians will ensure that you are happy and comfortable with any service we provide. Key Man Service is equipped to handle everything as well as making you feel at ease. We specialize in these delicate situations and know that our customers are very often stressed and panicked when calling us. Therefore, we will always maintain an air of professionalism and calm to help you feel at ease. Call us today and we will come straight out to help you. (661) 210-1182.